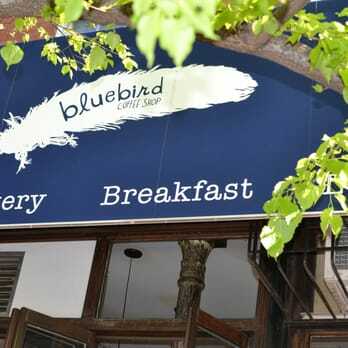 On a recent trip to New York City I visited Bluebird Coffee Shop in the SoHo neighborhood located in lower Manhattan. This no frills coffee bar has limited seating and a simple decor. The barista was less than friendly but professional none the less. Offering Lattes, Flat Whites, Cortados and brewed coffee, Bluebird appears to be purists when it comes to their craft. I believe this is in an effort to serve up a solid cup of coffee! A solid Latte is what I received at BB. I ordered an Iced Latte with an extra shot of esspreso. It was pretty darn good:) I didn’t purchase anything from the pastry menu. However, other reviews say they are really good. Categories: Uncategorized | Tags: Bluebird Coffee Shop, coffee, coffee bar, java, latte, Manhattan, New York, New York City, pastry, SoHo, SoHo neighborhood, tea | Permalink.